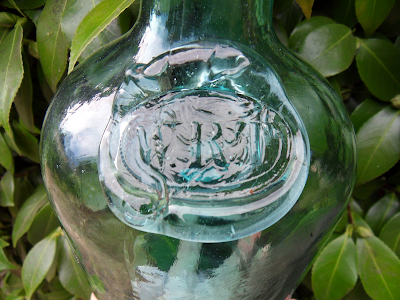 I thought you might like to see this demijohn with a glass seal. Quite rare to find a demijohn like this in any part of the USA, only the third I know about. This one stands about 12 1/5 inches in height. It is attributed to the Lyndeborough , NH,Glass Works. 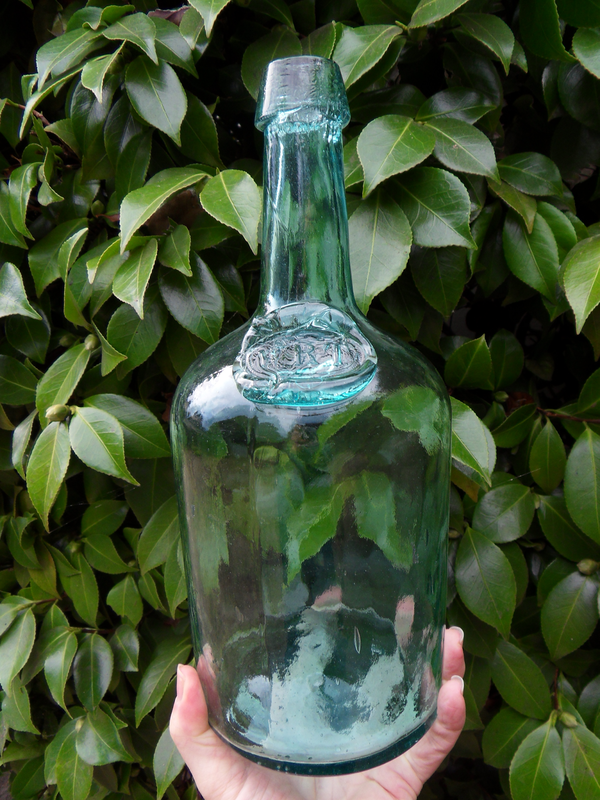 Lyndeborough was producing glass from approximately 1868 to 1888, not Western but an unusual demijohn indeed, hope you can use it on the site, best regards to you and Cherry, Dale J Santos.